Busy few weeks as I toured around to identify sites for assessment of ant communities in different crops on organic farms versus those using synthetic chemicals. 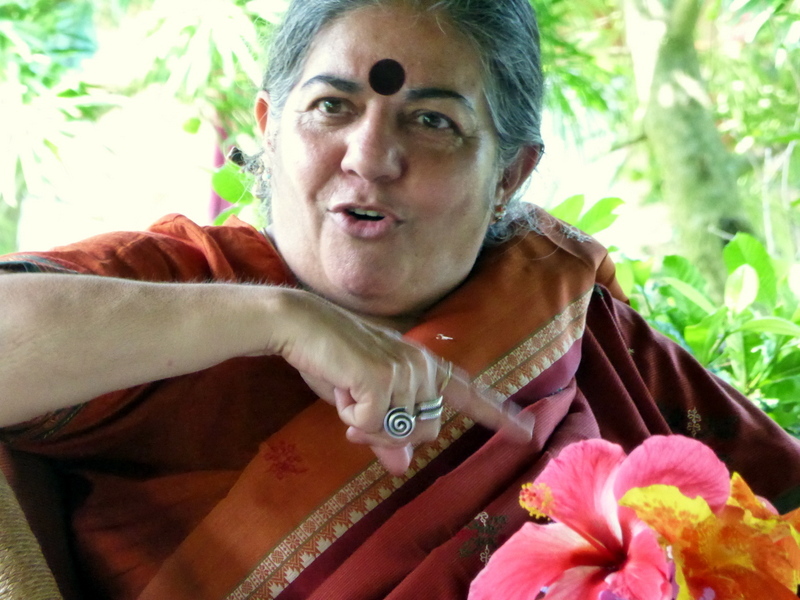 One site is Navdanya’s farm training center founded by one of India’s leading environmental activists Dr. Vandana Shiva. After putting pitfall traps in for ants, I happened to collect them on a day when Dr. Shiva was speaking to an international group of enrollees in Navdanya’s short course “A to Z of Organic Agriculture”. 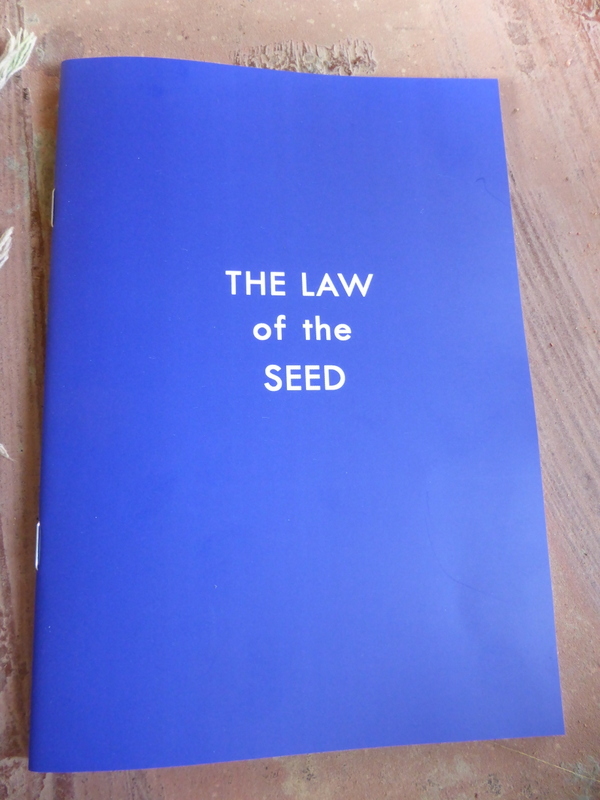 Her talk focused on the latest legislative doings regarding “seed freedom” or the ability of farmers to legally maintain the rights to the genetics of the crops they grow. I worked in Navdanya’s rice variety polyculture field: 600 varieties of rice growing in 2 x 3 meter rectangles! I put each ant trap in a different rice variety with my trusty assistant who is helping me with this science project in lieu of school. No synthetic chemicals are used; compost generated onsite is the only fertilizer employed. 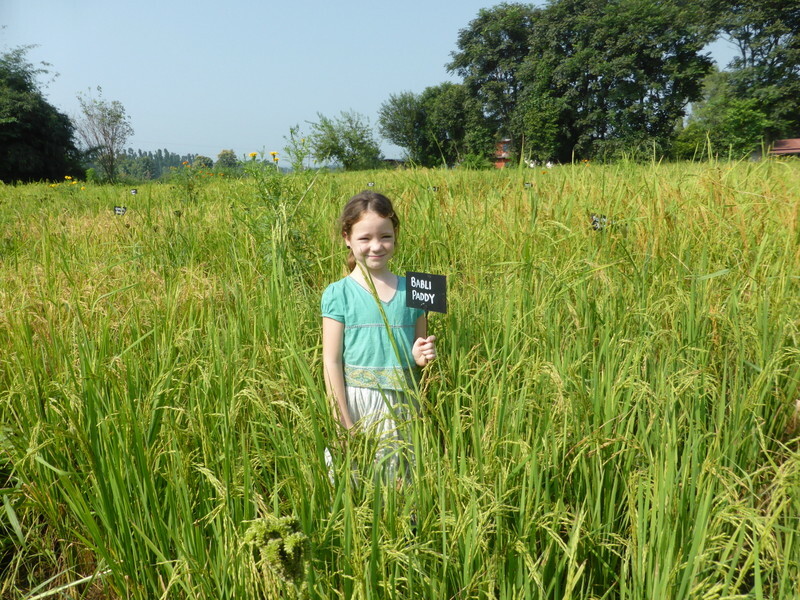 Ava standing in Navdanya’s field of 600 varieties of rice! My second site for rice is the Carbury Farm, only a couple of kilometers away. I worked in a large field of a single rice variety and one of the graduate students of the Wildlife Institute, Ms. Preeti Virkar, was kind enough to accompany me and help with trap collection. 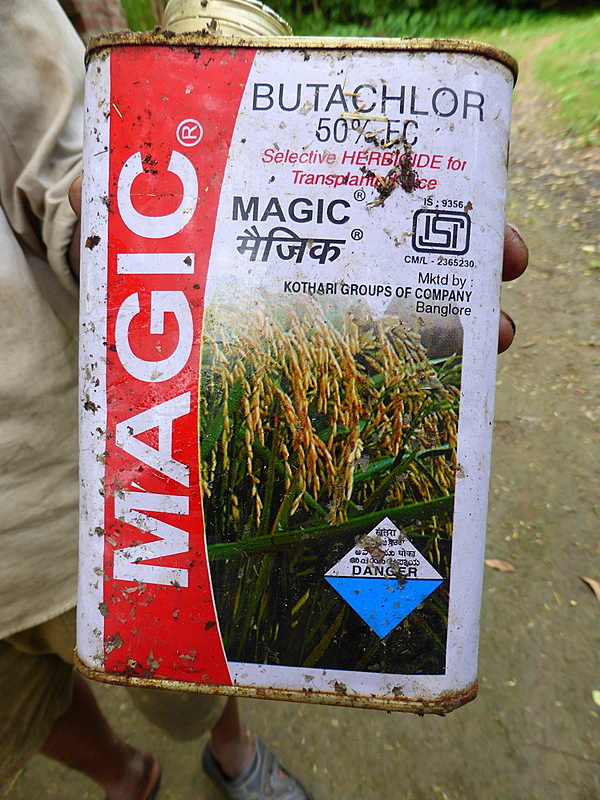 This season the farm workers have used “Magic” herbicide, “Lethal” pesticide, and synthetic fertilizers. Unfortunately, at Carbury most of the rice husks in the field were formed but empty due to a pest outbreak, following on the heels of a fungal attack. Looks like a very poor harvest there. Exact culprit to be determined. Preeti and me standing in monoculture of rice at the Carbury Farm. This entry was posted in Agriculture in India, Research and tagged Ant, Dr. Shiva, Fertilizer, India, Navdanya, Organic farming, Rice, seed freedom, Vandana Shiva. Bookmark the permalink.